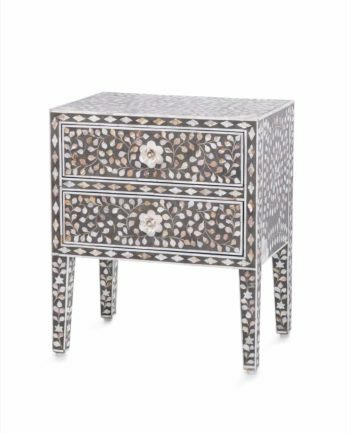 The delicate art of mother of pearl inlay can be traced back to ancient civilizations where it flourished in India. This intricate art was produced by craftsmen in Punjab, Rajasthan, Gujarat and Visahapattan to embellish thrones and doors at royal courts and temples. The famous lake city of Udaipur, in the dessert of Rajasthan is today an important center for inlay work creating some of the finest work in the country. 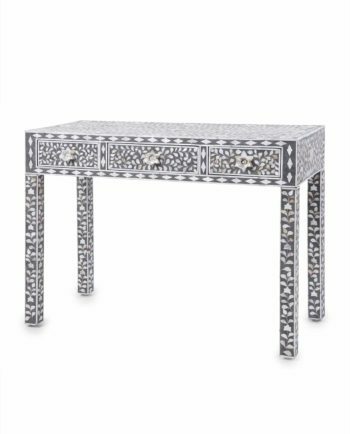 The art of inlaying mother of pearl into the furniture is achieved by the same methods as hundreds of years ago. This is a craft that has been handed down through generations of craftsmen. Each gorgeous and delicate mother of pearl fragments has been carefully hand selected, shaped and polished to fit perfectly with the piece. 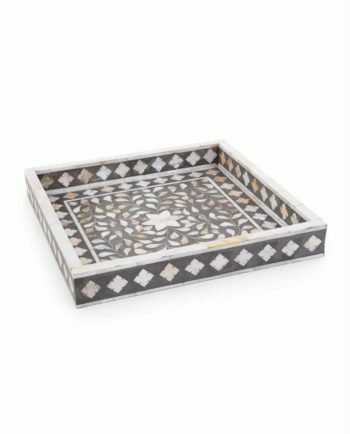 The woodworkers who create these magnificent pieces are all based in Rajasthan, the land of maharajas and palaces. 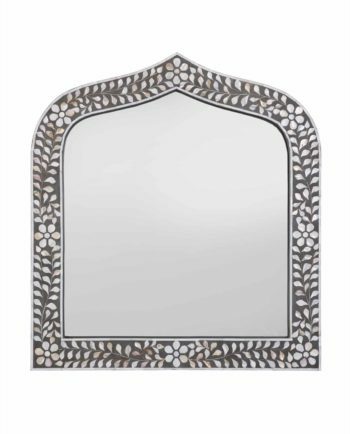 With the mother of pearl shell, you will have a lovely shimmer that gives a romantic feel to the furniture. Each of the finishes require days of hand craftsmanship. A mother of pearl piece of furniture is an investment in timeless art. 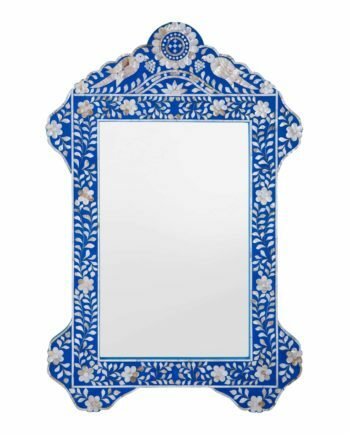 It will bring the opulence and elegance and history of India during the time of the maharajas into your home.